Speaking about rural entrepreneurship at an event I was recently asked an interesting question: Are rural people more entrepreneurial than city people? Instead of being compelled to justify to my city counterparts that rural entrepreneurs are equally worthy of celebration, I was being asked to judge whether they are, in fact, more entrepreneurial. Having interviewed hundreds of rural entrepreneurs over the past decade in the quest of promoting our rural towns as great places to live and work, there was the danger that I could answer this question with some bias. 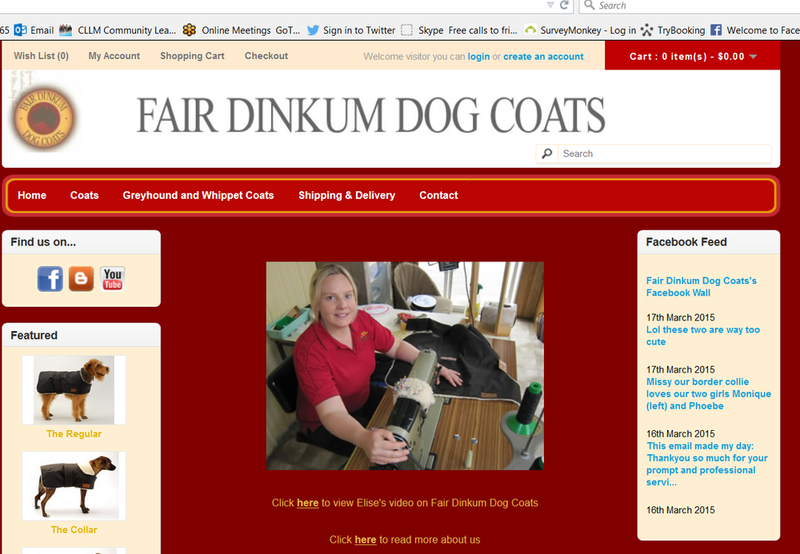 Rural communities include some of the most innovative people I know. Problem solving is second nature. Hours away from a spare parts depot, rural people are adept at banging up their own solution in the workshop. Some wonderful inventions have come out of rural industries and they continue to innovate all the time to remain competitive in a global market. However, with no desire to inflame the debate of a ‘great divide’ between our rural and city cousins, I gave this question considered thought before answering. There are many drivers that activate entrepreneurs and I only think it fair to start with employment options … or lack of. In a rural town there are fewer employment options and distance is a prohibiter in seeking alternate work. Therefore, it is only natural that those who love living in a rural community are more motivated to start-up their own small business. As a young mother and farmer’s wife living in Birchip Victoria, Andrea Harrison founded an online business named Kawaii Kids way back in 2007 before the digital world was given much thought in a rural context. Running the business initially from her family home, it became so successful that it progressed to a physical store front in Birchip and later Horsham. Andrea has also started manufacturing her own line of children’s clothing under the Curious Wonderland brand collaborating with select retailers across Australia. 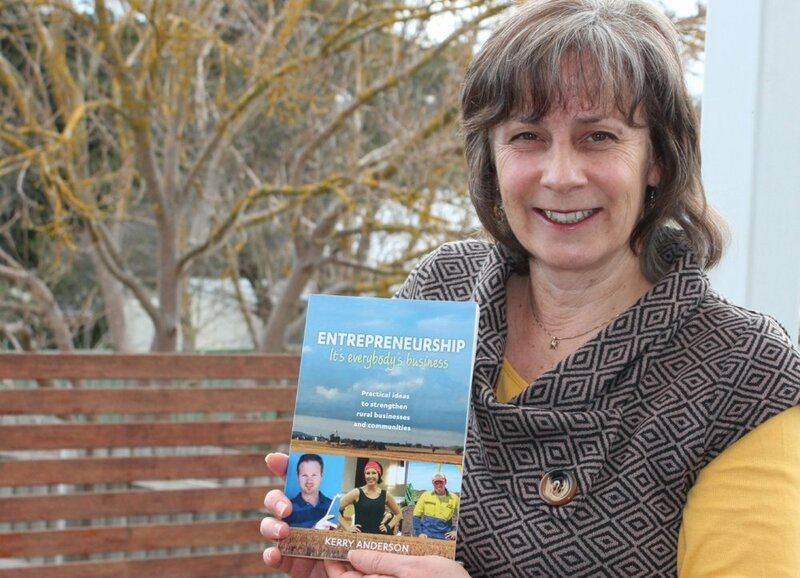 Adversity is a great breeding ground for entrepreneurs and there is no shortage of that in rural Australia. On top of all the economic pressures experienced nationally and globally, our rural communities are routinely impacted by fire, flood and drought. As I type these words Western Australia, South Australia and Victoria are battling bushfires; New South Wales is still in drought; and Queensland, along with the whole top end, is dealing with severe flooding. Cyclone Yasi’s destructive path in 2011 provided an opportunity for Trent Small, an enterprising Queenslander and Townsville businessman, to put his creative thinking and practical skills into action. His subsequent start-up business, Solar Relief, created a portable solar product that could be quickly deployed anywhere in the world at times of natural disaster and crisis. Entrepreneurs are also very good at turning every-day problems into business opportunities. 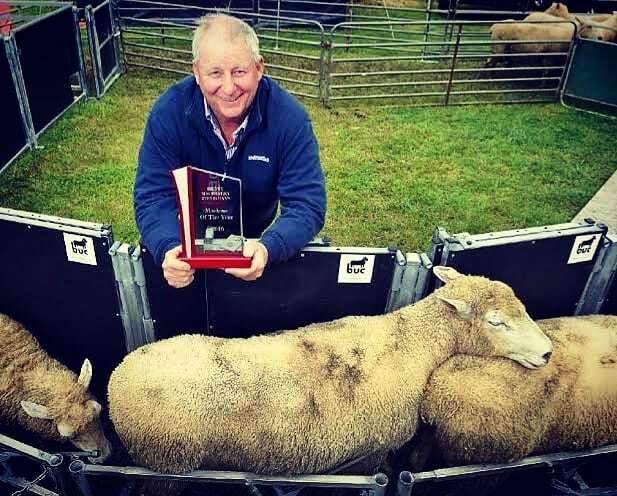 Back-up Charlie, a flexible lead-up race system, was the brainchild of sheep farmer, Charlie Webb from Lockhart in New South Wales, who wanted to make life easier for both the sheep and their handlers. The system is now being sold across Australia. 300 kilometres away, in Barham, Lauren Mathers created her business Bundarra Berkshires because she couldn’t source quality local pork products for her catering business. Transitioning into a free-range pork producer presented a multitude of problems that she systematically turned into opportunities. Finding customers prompted her to support the Farmers Market movement and embrace online sales. She ensures the quality of her product by controlling supply at every step of the way, even going to the lengths of installing a commercial kitchen and learning how to dress her own products. After a series of abattoir closures and an increase in road miles impacting on their transport costs, Lauren is once again taking a lead in providing a solution to humanely slaughtering animals from small holdings. Just recently she became the inaugural Chair of Murray Plains Meat Cooperative. And then there are those who are passionate about a rural community or space and simply let loose their inner entrepreneur to build a business opportunity. Celebrating forty years of publishing Australian Street Rodding Machine Magazine in 2018, Graffiti Publishing’s Larry O’Toole was part of the very first wave of street rodding enthusiasts drawn to Castlemaine in central Victoria in the 1970’s. A resident of the self-proclaimed Street Rodding Capital of Australia, Larry has built a successful publishing business on his passion aided by some good business instincts. Likewise, in an absolute leap of faith, in 2015 Simon and Kate Tol purchased the historic Mount Mitchell Homestead near Lexton in the north-western district of Victoria. They have dedicated themselves to making it into a viable business with a mix of farming produce, events, and accommodation. 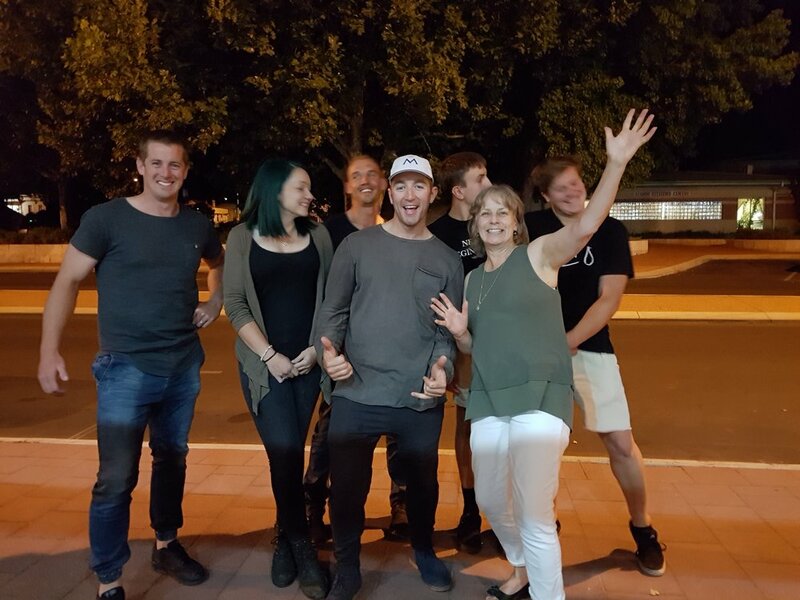 The bravery of their plan caught the attention of the local community, and their enthusiasm attracted the attention of Melbourne based Executive Chef, Ian Curley, who wants to stock their product in his restaurants. 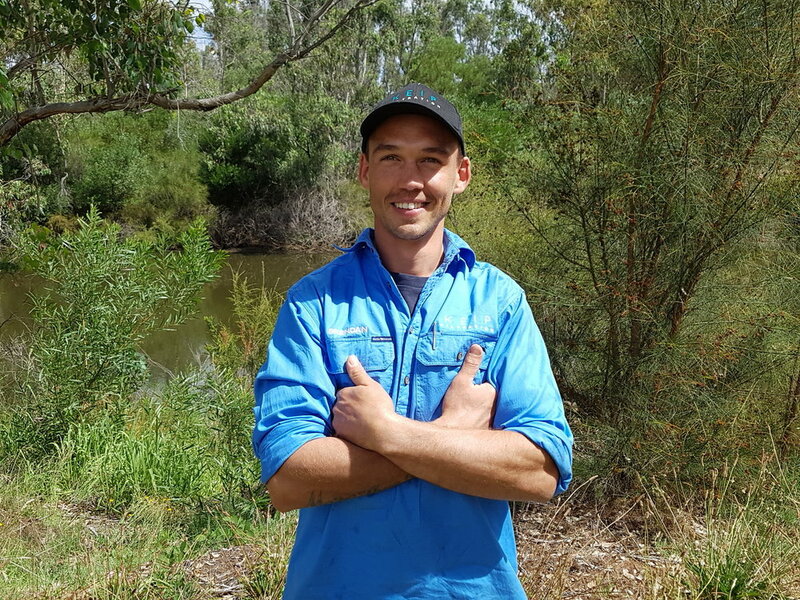 Over in Western Australia, Brendan Earl, a young indigenous man is working on a new project to improve water quality, something of value to every rural community. Are any of these examples more entrepreneurial than their city counterparts? Probably not but they certainly are a shining light in a rural community that must create its own opportunities and face adversity on a constant basis. This article was printed in the Autumn 2019 edition of Inside Small Business. Like many rural towns, Quambatook in the Southern Mallee of Victoria is enjoying a reinvigoration of its community thanks to new comers bringing new ideas and extra hands to reinforce businesses and volunteer groups. Long time Quambatook volunteers, Norma Bennett and Merrill Kelly, have been volunteering in Quambatook for more years than they can remember. Norma is a key driver of the Caravan Park and Merrill is on multiple committees. The Quambatook Tractor Pull has been a big draw card for their agricultural community for over forty years. This is what you do when you live in a rural town. Despite their best efforts, along with many other long time residents, over the decades the number of businesses and volunteers has dwindled significantly leaving a handful to keep these important services going. Fortunately, there has been an influx of new people moving into town injecting new ideas and energy into the rural town they affectionately call Quamby. Recently I caught up some of these ‘newcomers’ for a chat. Laura O’Dwyer and her husband, Paul, moved to Quambatook twelve years ago. A small agricultural town with a mere population of 249, ‘Quamby’ couldn’t be more different to their previous abode in the Melbourne suburb of Footscray but Laura says the move was a great decision. They’re still here so it must have been! But why Quambatook? It turns out it was quite a strategic decision for Laura who is a cartographer by trade, a skill eagerly sought by shire councils. For Paul, a truck driver who is away a week at a time, the location was equally convenient. Through her work in local government, Laura has also become heavily involved in her local community. As President of Quambatook Development Committee, she is helping to spear head initiatives to reinvigorate the town. In one of the most recent success stories, Laura helps manage the Silo Cinema events that attract hundreds of visitors from the surrounding region to view classic films such as The Castle, Priscilla, and The Dressmaker in a classic rural setting. Laura’s co-pilot for this project is Chelle Espagne, previously in the Australian Armed Forces and now owner of The Quambatook Stores and Post Office, who provides valuable support to the Silo Cinema. A screening of The Merger on 9 February 2019 resulted in their biggest ever turn up. 447 people effectively doubled Quamby’s population and raised revenue for the community groups that catered, as well as the caravan park, shops, and the pub. Speaking of The Quamby Hotel, Laura is quick to point out that it has new owners and is currently being refurbished. I dutifully trot across the road to check it out. Mick Doolan, one of the new publicans, moved to Quamby only eighteen months ago but is already looking very much at home behind the bar. Indicating just how much time Mick’s Sunbury based parents are spending in Quamby as publicans, his father Wayne has focussed on the refurbishments and proudly points out the new ceiling and rendered wall. More plans are underway to revamp the seven rooms that provide accommodation. And Mick is particularly excited about plans to bring some big bands to Quamby. ‘I’m using my old night club contacts,’ he confides. Just around the corner from the pub a delightful old church turned into a residence catches my eye. So does it colourful owner, Kathryn Robson; a district nurse by day and a Quamby volunteer on the weekends. I bump into Kathryn chatting with visitors at the recently opened Quambatook District Share Shop Inc. It turns out that Kathryn is Secretary of the Share Shop and she asks me to wait a moment before I take a photograph of the organisers. Moments later with a beaming smile she emerges wearing one of the vintage outfits for sale. Later, when I’m distracted chatting, I turn around to find her in yet another outfit, a pink suit, posing elegantly with fine bone china under a circa 1960’s home hair dryer. With a desire to grow her Retro-Vintage online retail business that she started running from home, it was Jodie who spotted the potential of a vacant store in Quamby’s main street. ‘Quamby needed something open on weekends for visitors and I knew that there would be others like me with home businesses that would welcome access to a physical shop front.’ The Quambatook District Share Shop Inc. opened a month ago in January 2019 with ten share holders and I observed a small but regular stream of visitors over the weekend I was in town. ‘It’s so much less stressful and a much more relaxed lifestyle,’ Jodie tells me. Everywhere I go I am hearing the positives of new people moving into Quamby, but I have to ask: What are the downsides of living in a small town? Like many rural towns Australia wide, the good people of Quambatook work and volunteer tirelessly to make their community strong. While many refer to those who move from the city to the country as Tree Changers, I like to think of them as Town Changers. With a willingness to participate and contribute, there are many benefits to be found from living in a rural town. Quambatook District Share Shop Inc.
What a privilege it was to experience Quamby’s Silo Cinema on Saturday 9 February 2019. With 447 guests viewing the iconic Australian film The Merger, they can claim that their town doubled in size overnight. A win-win for their caravan park, pub and stores. Well done to all the volunteers involved. And special thanks to Laura O’Dwyer who allowed me to interview her at a very busy time.